What makes a readable book? Is it its plot, its vivid imagery or its emotive prose? None of these. A book is worth reading only if it teaches you information to improve your life (whether in a religious capacity is a personal choice). You must learn something new from it, understand and contemplate its challenging concepts and above all, be capable of applying that information throughout your life. While some books merely brim the surface of life-altering impact, some do indeed impart very clever ideas that are worth contributing to your reading list. Below are some of the books I have in my library which I believe should be read. Take a gander. Muhammad Ibn Sirin (Iraq) was a dream interpreter renowned for his exacting memory and ascetic faith as an imam. 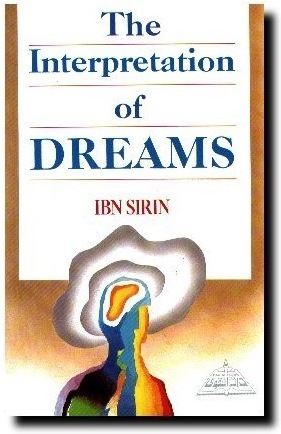 His interpretation of dreams led to many correct predictions including the scholar's own demise. Although this book is attributed to Ibn Sirin, rumour has it that he himself disliked storing knowledge, instead favouring memorisation of ahadith and events. However, there is no denying that Ibn Sirin was a diligent believer, relying on reliable sources for interpreting dreams. Whoever really authored the book has directly paid homage to the great imam. As an introduction to the Hereafter this book provides clear insight into the stages of life after death from the Islamic perspective. What happens to 'good' souls? What will death feel like? Deeply resourceful and at times tear-jerking, my only criticism is that the book tone is a bit of a downer; optimism is lacking. Winning the Heart of Your Wife, by Ibraahim Ibn Saaleh al-Mahmud. Ibrahim Ibn Saaleh al-Mahmud has written grand gestures in this smothering guide to pleasing husbands. What wives could do, should do, do-do, emanate partly from the legal realm of Shariah but mostly from prophetic actions of endearment and traditions throughout time. While there are some contemporary references, the books needs more of these to keep readers interested. 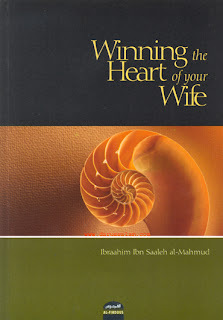 Fortunately for women, the author has also written Winning the Heart of Your Husband. Both are available in ebook format for online reading on World of Islam ePortal. 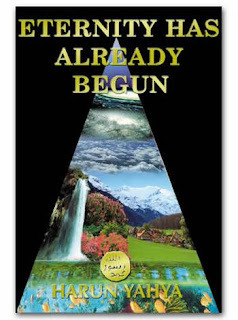 Written by Pakistani figure Ul Hashemi, this comprehensive book is in someway a response to "the present day minds of people [that] are bombarded with an enormity of erroneous beliefs and ideologies". Backed with references, the topics focus on Muslims' relationship with the Prophet Muhammad, peace be upon him, writing in favour of his intercession, Mawlid, his ever-presence, visiting graves and 'kissing of thumbs'. When I was learning the story of Prophet Moses from both the Biblical and Quranic narrations, I came across the conversion of French scientist Bucaille. He too studied comparative religion, visiting Egypt, finally actualising the Moses fable which led to the course of his writing this book (originally in French). 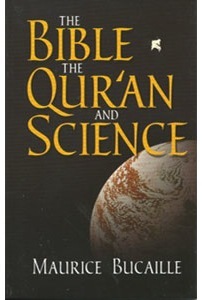 In this objective study, Bucaille clears away many preconceived scientific ideas about the Old Testament, the Gospel and the Quran by separating what belongs to Revelation and what is the product of human interpretation. An excellent book for young students and understanding the similarities in God's revelations. Khan's book is another light comparative study although a tad more aggressive in speech, of religions and their ties with scientific development. Content is based heavily on dialogue and the overall conclusion lies with how religious truths are deeply integrated in intellectual or scientific truths. Topics include embryology, astronomy and plant-life, amongst others. These well known books highlight aspects of the lives of sixty Companions of the Prophet, some famous, others almost completely unknown. Read about the trials and triumphs of the early Muslims as their various paths to Islam and devotion to their faith led them to heroic nobility. Companions include Nuaym ibn Maslamah, Utbah ibn Ghazwan and Abbad ibn Bishr. 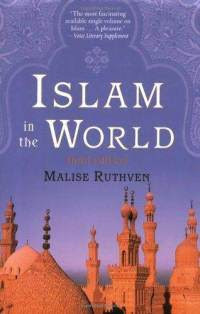 Islam in the World has long been considered one of the best books for gaining an understanding of modern Islam. In his updated edition, "Islamic expert" Malise Ruthven has added new chapters analysing major issues, including the impact of 9/11, the meaning of "the war on terror," and the overthrow of Saddam Hussein. New material also explains important differences within Islam that many Westerners are just beginning to learn about, including the rivalry between Sunnis and Shias, the relationship between Sufism and "modern Islamism" and the debates about democracy raging throughout the Muslim Word. 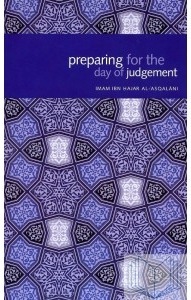 As an introductory guide this book focuses on the social and political implications of Shariah, great for new learners. 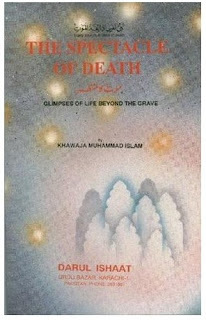 The spectable of death, Khawaja Mohammad Islam. Many topics are discussed in this thick, paperback book from Karachi, each being about 2 pages in length - Muslim burial, descriptions and conditions of the grave, the 'Barzakh' (station for souls), angels of death, consequences of deeds, descriptions of Hell and Paradise. While the author quotes prophetic narrations from Bukhari, Ibn Kathir, Abu Dawud et al, he does not specifically list reference numbers nor relate to any contemporary discussion. As a resource book the information is invaluable but there are many others equally informative and more reliable. Deeply interesting, full of statistical data and photographic beauties, this pictorial history is exactly what it says on the cover. Backed with Quranic verses, Ahadith and even contemporary notaries, Dr. Abdul Ghani has undertaken extensive research from throughout history and leaders to show us what made modern Madinah. Who built what, what happened where and who took over - all is revealed about the blessed city in which Prophet Muhammad, peace be upon him, took refuge and established a growing community. 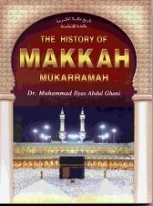 Another historical account by the doctor, The History of Makkah wonderfully punctuates an extremely informative timeline of significant events with black and white photos of the Kaba dating from the early 1900's. Beginning from the conquest of Makkah as the first turning point, the book details major extensions and renovations throughout the city. This makes a great guide for travelling in the holy city. 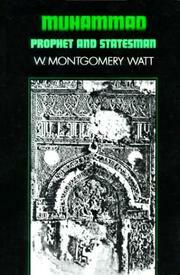 W. Montgomery Watt. Muhammad: Prophet and Statesman. "So much must be said in fairness to Muhammad when he is measured against the Arabs of his time. Muslims, however, claim that he is a model of conduct and character for all mankind. In so doing they present him for judgement according to the standards of enlightened world opinion. Though the world is increasingly becoming one world, it has so far paid scant attention to Muhammad as a moral exemplar. Yet because Muslims are numerous, it will sooner or later have to consider seriously whether from the life and teaching of Muhammad any principles are to be learnt which will contribute to the moral development of mankind." 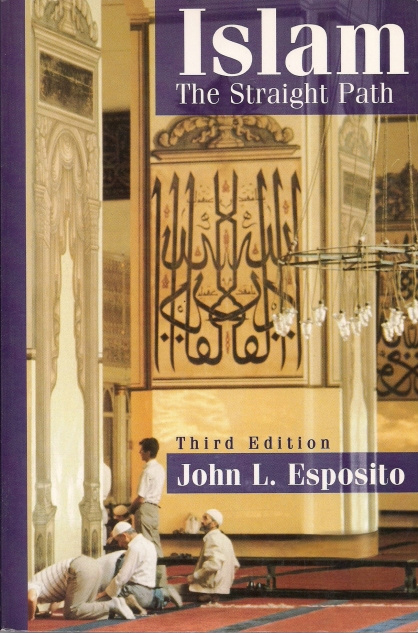 Esposito's excellent survey text introduces Islam and marks the historical events throughout the Islamic era, reaching to modern-day terminology and Muslim culture. 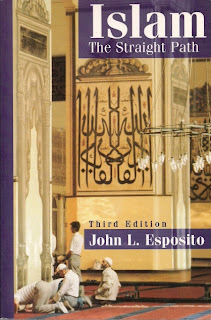 Esposito is an internationally renowned researched on Islam and shares the development of Islam's dynamic impact on the world in this third edition of Muslim lifestyle. He even takes on board the issues raised during the civil rights decade, Malcolm X, religious pluralism and human rights. For keen insight and a study of comparative religions, this is the book to read. 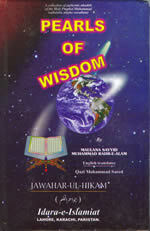 A spiritually subservient collection of idioms and Islamic quotes begin each new chapter and make up this book of life-advice. 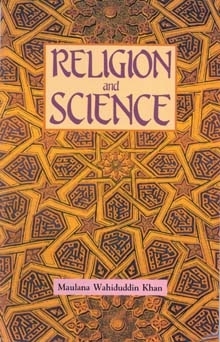 Although the front cover illustrates a cloaked figure and on first reading, the book seems to belittle the status of women in Islam by promoting patriarchy, the overall message is of finding inner beauty, of self-realisation and connecting one's worth to God. Beautiful, full of positivity and aimed at anyone feeling depressed. I was given this book ten years ago and still find it an easy and 'edutaining' source for a short afternoon read. Mostly compiled of famous Islamic stories, this book has grouped similar themed quotes of iconic Muslims and fables to inspire action and wisdom. Other chapters include dialogue, briefly skimming into 'e-mail' formed debates and scientific rhetoric. A good read for the more travelled mind. While the author has been under varied criticisms for his modern style and sympathy to the 'West', I find this book in particularly to be a fantastic bank of knowledge. Massively digitised and real photographs are the backdrop to analyses of Prophetic ahadith, Quranic verses, scientific data, historical events and signs, all of which are reported to lead up to and after the Day of Judgement. The Social Sharia of Islam, Javed Ahmad Ghamidi. Although not available online, Ghamidi's modernist outlook in The Social Sharia makes his book's topics debatable in light of traditional Quranic interpretatation. The book acts as an umbrella, taking a broad approach to the major sub-areas in the Shariah but explains subjects in detail. A good read for a studious mind. An-Nawawi’s Forty Ahadith (Translation), read on Kalamullah. A classical and imperative collection of Prophetic narrations which every Muslim should grow up with. Clear text, tafsir (exegesis) and wholesome for the soul. 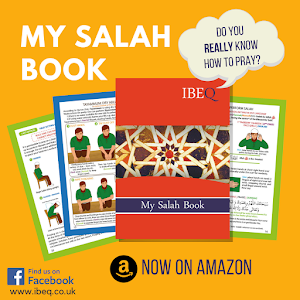 Gift this book to any young student as a proper introduction to the fundamentals of Islam as a lifestyle in the light of Prophet Muhammad's teachings. Beautiful stuff. 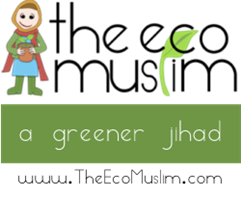 Overcoming Trials and Tribulations, Ruqaiyah Abdullah. Another personal favourite, sister Ruqaiyah from Britain has written a book that was missing from our shelves. With select and beautiful quotes, she gives the reader very personal and, fortunately, at times informal lessons in why we hurt. Allah loves you, you are supposed to make mistakes but only for the purpose of turning to God immediately, constantly, lovingly. Fully referenced, deeply insightful and covering many grievances, from death to depression. Jazak'Allahu Khairan for this list. We do have An-Nawawi's 40 Ahadith. Definitely need to add many of the others at some point. 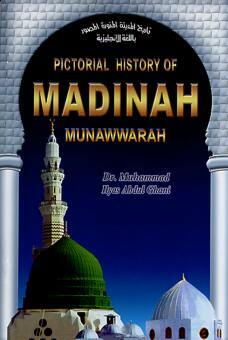 Still have many other volumes that need to be read in our Islamic library as well. Post your reading list online.